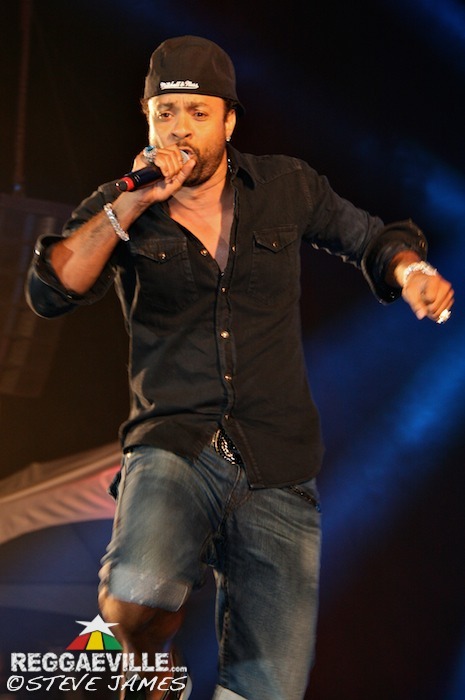 For approximately two weeks leading up to the Shaggy & Friends 2014 concert on Saturday January 4th the anticipatory buzz was evident, not only in the capital city of Kingston, but across the island. The announcement that Tessanne Chin, who had just won the popular American show ‘The Voice’, would be the headline act, only intensified the determination by many to be in attendance. The launch function for the Shaggy & Friends concert was appropriately held on the grounds of the Bustamante Children’s Hospital, given that the needs of the hospital was the inspiration which led to the first and subsequent staging of the show by Grammy-winning entertainer Orville ‘Shaggy’ Burrell. The concert’s sole purpose is to raise funds for the only children’s hospital in the English speaking Caribbean and specifically for the construction of a new cardiac intensive care unit for the hospital. As is the norm, there were different ticket categories. This year, there were Silver, Gold and Platinum which cost J$5,000, J$10,000 and J$20,000 respectively. The Gold and Platinum tickets were sold out almost a week before the event and left patrons scrambling to get a hand on any ticket they could find. The support of numerous corporate sponsors was indicative that this year’s tag line ‘One Ticket One Life’, appealed to the core of many corporate sponsorship programmes. The finest in food and drinks were present from some of Jamaica’s best caterers. The variations ran the gamut from KFC to sushi. Patrons craving chocolates and ice-cream had their cravings satisfied by local chocolatier ‘Chocolate Dreams’ and Haagen-Dazs’ ice-cream respectively. Skyy Vodka and Appleton VX were visibly meeting the needs of patrons who desired something stronger. With a stellar line up of local talent and international acts such as Neyo, Matthew Schuler (contestant from the Voice), and Jamaica’s own winner of the Voice, Tessanne Chin, the lawns of Jamaica House could scarcely contain the record setting crowd. The show was streamed live in the Caribbean by Sportsmax and online by the Jamaica Gleaner company throughout the world. It was also available on local television station CVM TV. In one of the rehearsals, Shaggy was asked the start time of the show. He responded with, “8:00pm on the dot”, and start at 8 pm it did. The MC announced the Lightning Drummers as the first performers at 8 pm. Then Shaggy made his first appearance welcoming everyone and performing briefly. He invited his long time singing partner Rayvon who did Summer Time and a few other hits which got the crowd warmed up. Singer Pinchers who ruled the dancehall in the eighties was next on stage. Known for his stylish dressing in those days, he did not disappoint with Saturday nights outfit. He delivered several hits from his vast catalogue such as Lift It Up Again, Agony, and Bandelero and For Your Eyes Only. He was then followed by Admiral Bailey and Admiral Tibet both of who gave great performances. Gospel songbird Carlene Davis was next to grace the stage and delivered the songs which made her famous, including Paradise, What Old Friends Do and It Must Be Love. With the recent passing of Nelson Mandela still fresh in peoples’ minds, her song about Winnie Mandela was also well received. The performance of one of Jamaica’s only group that has remained intact over the years the Mighty Diamonds, was short and sweet as patrons sang to hits like I Need a Roof, When the Right Time Come and Pass the Kouchie. Comedian Christopher ‘Johnny’ Daley took over MC’s duties and introduced Christopher Martin who delivered to all his loyal fans, Macka Diamond did a short stint, followed by Elephant Man. The ‘Energy God’ did some of his popular hits and did not spare the audience his usual antics. He jumped on top of speaker boxes and even called a youngster out of the audience to follow him do one of his dance moves. Their combined efforts were humorously received by the crowd. MC Johnny was joined on stage by Comedians and LIME Ambassadors Ity & Fancy Cat. They provided brief entertainment, before the next acts that followed. Wayne Marshall was next and did his songs Over Come, Feeling It and current single Good Old Wife. He invited Damian ‘Junior Gong’ Marley on stage who rocked the audience with his hit Land of Promise. Up next was Assassin, the crowd reacted well to him, and sang along with his hits Hand Ina Di Air, City Life and Hand to Mouth. Trinidadian Soca artiste Kes was the next to ignite the stage with his high energy vibes. He sang hits such as Wotless, Can’t Wait and Tuesday On The Rock while having the youngsters in the audience singing with him every beat. Konshens performed next and showed his versatility by singing and deejaying during his tight set. International artiste Ne-Yo was next in line to perform. Wearing his trade mark felt hat he gave the crowd a splendid performance, receiving obvious adoration from the ladies. He was later joined on stage by Shaggy to do their single You Girl which is taken from Shaggy’s latest album, Out of Many One Music. At the end of his set, Shaggy informed the crowd that Ne-Yo was one of the biggest fans of reggae music and Jamaica and how happy he was to be performing on the Shaggy & Friends Show. There was a short band change and next up was the artiste who everyone was looking forward to and anticipating. Dressed in an elegant burgundy jumpsuit and performing on Jamaican soil for the first time since winning the Voice, Tessanne greeted the audience and received and equally cheerful response. She sang several of the songs she had performed while on The Voice. These included Redemption Song and Try. She also did Many Rivers To Cross which she informed the audience was in respect for her first boss, Jimmy Cliff. Tessanne introduced the next artiste on stage; it was her friend and fellow contestant on The Voice, Matthew Schuler. The crowd was anticipating his performance as the local media had made known his arrival in Jamaica a few days earlier. He had quickly immersed himself in the local scene by making his rounds at some of Kingston premium dance parties. His charming conversations with the crowd seemed to serve to put him at ease. But it was when he sang Hallelujah that the depth of the crowd’s support became fully evident. After his set Tessanne returned to the stage dressed in full black. She did her local hit Hideaway and her cover of Whitney Houston’s I Have Nothing. Throughout her performance she thanked the crowd and Jamaica for voting for her and standing by her through her competition on the Voice. After another short band change where some of the patrons began to exit, Chronixx entered the stage and engaged the audience while delivering from his repertoire of songs filled with positive and uplifting lyrics. He was followed by Tarrrus ‘singy-singy’ Riley. Both turning in great performances. Tarrus invited Jah Cure on stage who appeared with his wife. International artiste Sean Paul was up next. Expectations were high from the patrons, and he strove to please them by giving them an energetic performance. He was also joined by Damian Marley during his set for their recent combination Riot. 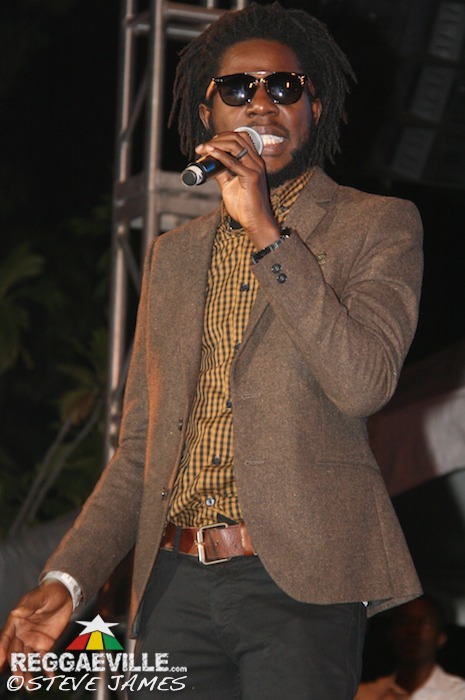 Shaggy & Friends 2014 was brought to a closure by I Octane. Patrons leaving the venue had to agree that they had witnessed what might turn out to be the best produced show for 2014. The organizing team, and specifically Shaggy, must be commended for their selfless efforts and dedication to the Bustamante Children’s Hospital. Their efforts could not however have borne fruit without the corresponding support of the sponsors, artistes and patrons. The charitable of all participants will certainly be of tremendous benefit to the hospital.